*Decent mic. A little fuzzy is acceptable. *Must have someplace I can contact you. *Must be frequent, or I will re cast. 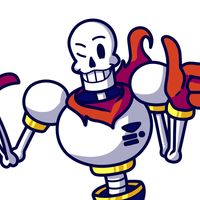 Soltale has its own ask blog at the tumblr account ask-sol-sans, and it's waiting! The story will be progressed through the comic, as like other ask blogs. 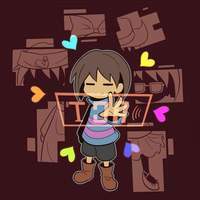 Frisk is around 14 in the comic, and yes, I do perfer Frisk (an Chara) as female. So, a teen voice, but still childish, should be okay. A sunflower? 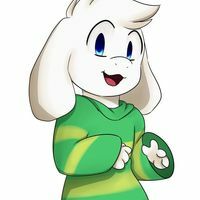 I've never seen one before..
Chara is actually a good guy in Soltale! She is like Frisk, but more mature sounding. 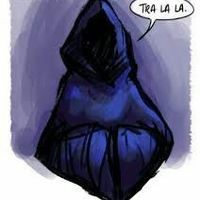 Haha, dead? More like, a demon of sorts. 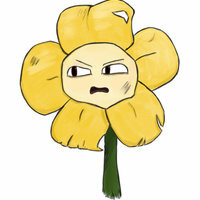 .... it's not my fault... Its not in my control..
Flowey the Sunflower. Yup. Another good guy. Like Underfell Flowey, you could say. But, he's a smartalec. Toriel's crazy! She's tried burning me before! 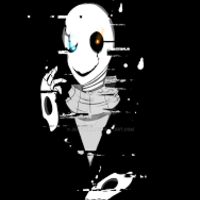 Just our flashback Asriel, becaue at the moment, I do not plan on giving Flowey his soul. 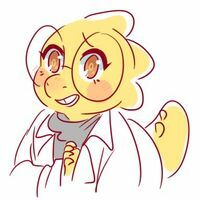 Chara, look at these sunflowers! Aren't they pretty? 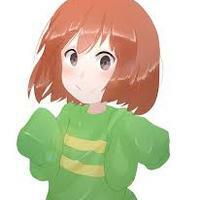 CHARA?! WHAT ARE YOU DOING?! Goat mom. At times, she can be caring. At others, aggresive. Oh! A human! I believe we have not met. 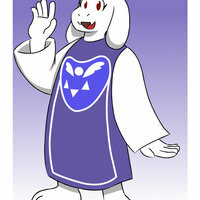 My name is Toriel. Sorry if the pie is a bit burnt. It's been awhile since I've used my oven. Intead of meeting Sol at Papyrus's Gate, you meet him WITH Papyrus, as the two are actually Royal Guards in this AU. 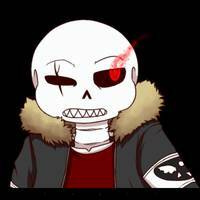 Voice is kinda like how you would imagine Underfell Sans's. Look at what we have here. A human. Either you come with us, or die here. Huh. Didn't know you could talk, kid. Its best if you listen to my brother. He IS co-captain of the Royal Guard, you know. Captain of the RG. 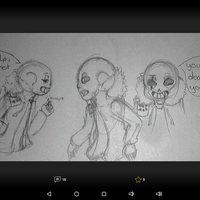 Sans and Papyrs treat her like a sister, and a best friend to Papyrus. Easily a softie. 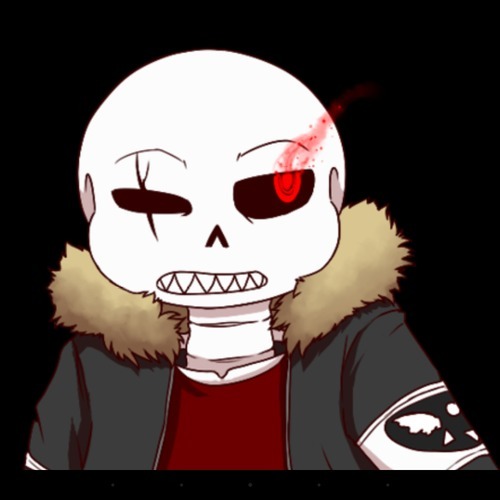 So, Sans told you everything about his and Papyrus's past, huh? ... he wasn't lying about being an experiment. Yup. Mostly, try to sound kinda like Peridot from Steven Universe. You should be fine, from that. 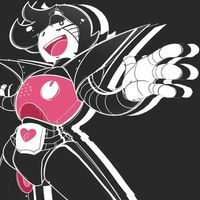 Mettaton, go back to the lab. Same guy, basically. Try thinking of a Markiplier kind of voice for him/her. If not the most, try keeping it genderless as well, please. Also, Papyton is shipped here. So. Well, yes, but don't tell him. Yes, that's the correct answer! Same old goat. Just try to add a bit of insanity to his voice. Ah, hello child. 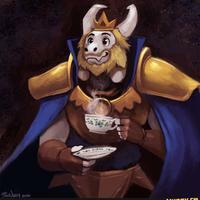 I am Asgore. It is nice to meet you. Well, I was not going to kill them, you see. Just take their soul, is all. More will be revealed about this character later on, for those who go to the blog. One word to describe her. Insane. Do you even know who I am?! Riverperson, and former RG. More will be revealed to the cast actor. Try to sond motherly. S-Sons?? I-I dont know what you mean! Yes, I experimented on them. Back to your cell, you two. 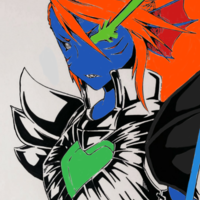 I decided to do this for other monsters that may come in at a point. Say which monster, and then do your line. Thanks!